You may have seen a rumoured Super Smash Bros. 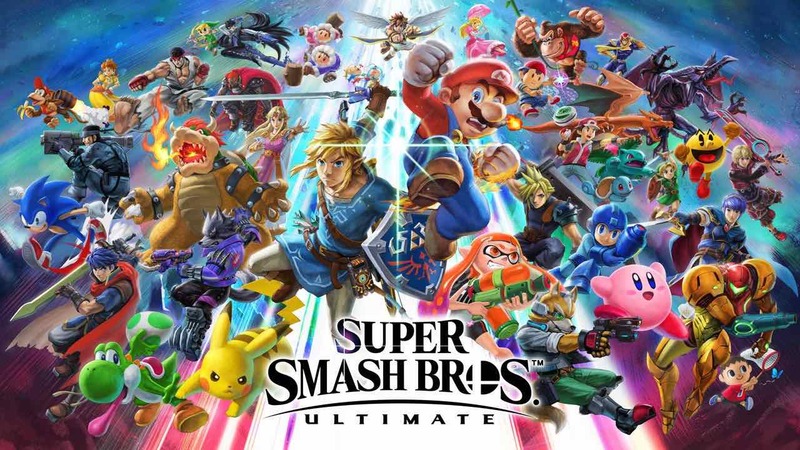 Ultimate leak spread like wildfire online yesterday, in which someone had reportedly leaked promotional material that revealed the mascot brawler’s complete roster. Shadow, Banjo-Kazooie, Isaac, Ken, Mach Rider, Geno and Chorus Kids were all clearly present in the blurred image, and, as can be expected, the internet collectively stepped in to work out whether it was real or not. Now, in a Facebook post, Marina PLV, the company that has become caught up in the investigation, has moved to distance themselves from the rumours. That’s understandable, seeing as the employee that has claimed to have leaked the final roster hasn’t worked for them since November 2016. Nor are they currently working with Bandai Namco Entertainment in any capacity. “En effet, la personne incriminée dans cette « rumeur », si tant est que ce soit elle, n’est plus présente dans notre société depuis novembre 2016. N’ayant pas mis son profil linkedIn à jour, certains ont voulu faire un rapprochement avec les Ateliers Marina qui ne peut donc exister. “Namco est une société avec qui nous avons travaillé et avec laquelle nous souhaitons retravailler, ce n’est pas le cas actuellement pour le lancement de Super Smash Bros Ultimate. Ces rumeurs font donc peser un discrédit sur notre professionnalisme largement reconnu, et notamment en ce qui concerne nos engagements sur la confidentialité. “Rumours of a privacy leak related to Super Smash Bros. Ultimate report a link to our company. All these rumours only support one idea, journalism is not limited to searching Google. “The person that is involved in this ‘rumour,’ if so, hasn’t worked at our company since November 2016. His LinkedIn profile is not up-to-date, meaning that some have made a connection with The Marina workshops that cannot exist. “Bandai Namco is a company we have worked with and with which we want to work again, but this is not currently the case with the launch of Super Smash Bros. Ultimate. These rumours are therefore discrediting our widely recognised professionalism, particularly with regard to our confidentiality commitments.